Boasting the world’s second largest reef, Belize tops among the tourist destinations in the North American continent. 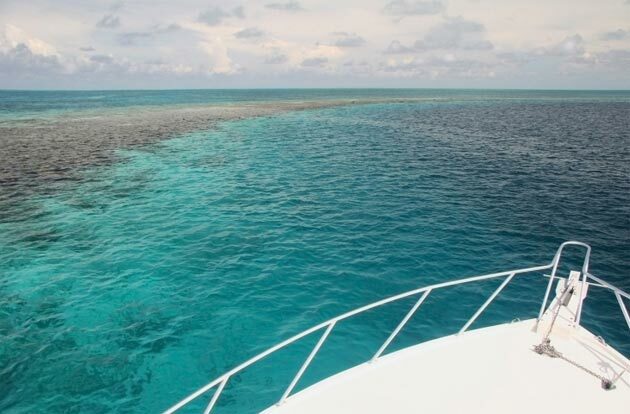 There are over 100 kinds of corals and about 500 species of fish patrolling in the water. The translucent waters with a kaleidoscope of fish, turtles, and corals have a magnetic appeal. The divers do not miss the opportunity to probe into the underwater world and the far-famed Blue Hole. The jungle is a paradise for avid anglers. With over 570 species of birds in the jungle and interesting animals, Belize is a true haven for wildlife. Some of the Maya civilization sites (dating back to AD 250 to AD 1000) are dotted around Belize, such as Actun Tunichil Muknal, Caracol, Lamanai, and Xunantunich. The adventure lovers descend in the caves to see the places where the Mayan kings performed rituals, while those who love to climb glance at the unearthed tombs and analyze complex hieroglyphs. 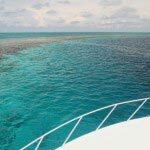 Do not miss to visit Hol Chan Marine Reserve, Ambergris Caye, Cockscomb Basin Wildlife Sanctuary, Shipstern Nature Reserve, and Cayo Espanto, on your Belize vacations. Belmopan is the capital of Belize and has an estimated population of 20,000. Its name derives from the union of two words: “Belize” and “Mopan”. The largest city of Belize is located at the mouth of the river Belize River and is known as Belize City. It has an estimated population of 79,600 and is the main port and the industrial hub of the country. One of the most popular attractions in Belize are the remnants of the fascinating Maya Civilization, which include ruins, such as Xunantunich, which features a pyramid and stelae. There are more pyramids and stelae at Altun Ha and Lamanai in the north, or El Pilar, the caves of Actun Tunichil Muknal, and the largest ruins at Caracol.